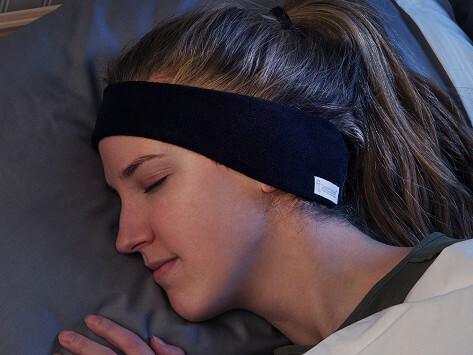 Lull yourself to sleep or create an ultra-comfortable listening experience anywhere with soft headband headphones. Two speakers are built inside each headband—simply position it over your ears. There are no earbuds digging into your ears, and no worry that they’ll fall out. Stream your own soothing playlist via Bluetooth. I absolutely LOVE these headphones. They do exactly what they claim to do. I have been an insomniac for YEARS ! Meditation tapes helped but then my husband said HE couldn't sleep when the tape ran. I wear hearing aids but not in bed and even with the volume turned up so I can hear it without my aids, my husband can't hear a single note of music--his loss. Marriage saved!